Book cheap flights on Air Namibia now! Air Namibia was voted the second best Regional Airline in Africa! This airline boasts modern interiors and trend setting features in their flights, providing immense comfort. On flight, there is a generous catering service providing scrumptious meals for passengers. Air Namibia (code SW) is the national flag carrier of Namibia and is based in the capital city of Windhoek at Hosea Kutako International Airport (WDH). It has a smaller domestic hub at Eros Airport in Windhoek, just 7km from the city centre. The airline operates a fairly young fleet totalling 9 aircraft, including 4 Airbus’, 2 Boeings and 3 Embraer ERJs. Get a touch of stunning Namibia, the gem of Africa, by flying in comfort and class on Air Namibia. 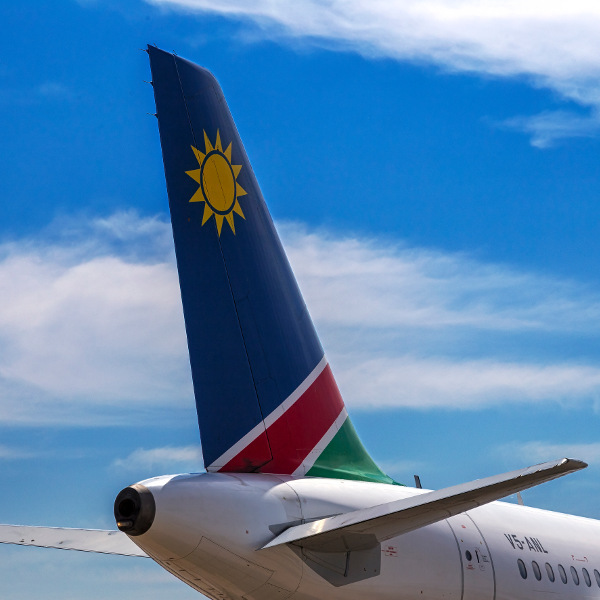 The airline is based in the beautiful city of Windhoek and connects Namibia to the world. 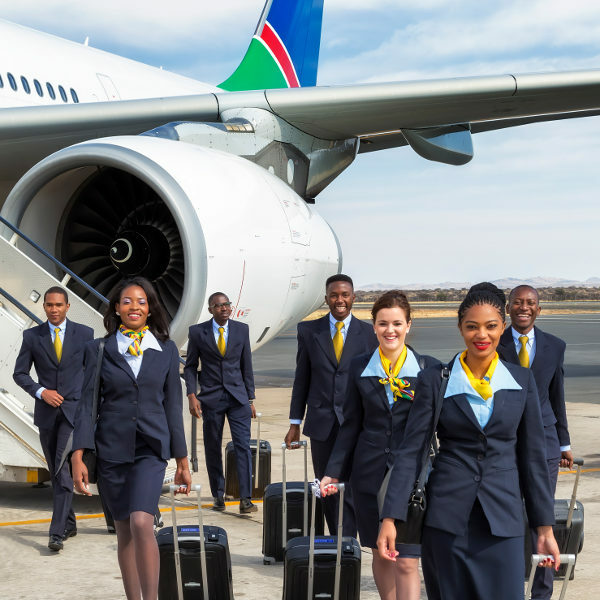 Air Namibia carries the spirit of its country in the smiles of the highly trained staff, and the warmth of their customer service team, who go the extra mile to help with any difficult situation. 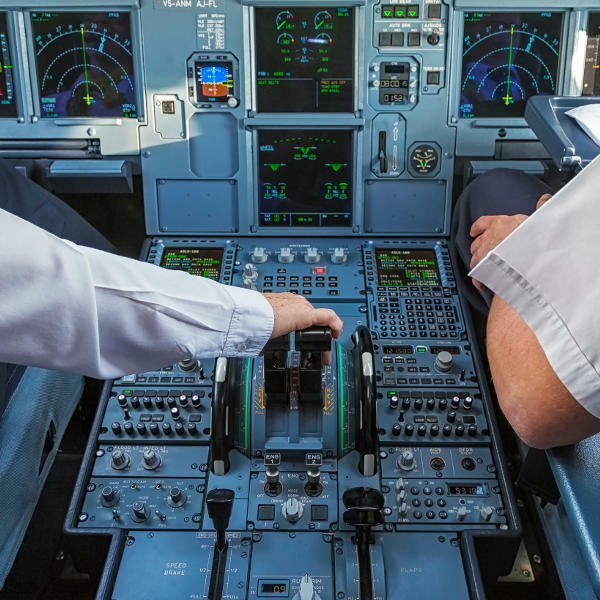 The airline serves 17 destinations in Africa and Europe providing affordable flights, and live by their vision of being safe, reliable, efficient and caring. Book Air Namibia flights to Cape Town, Luanda, Frankfurt and other exciting places! If you’re travelling with an infant, you are entitled to a further 7kg baggage allowance on Air Namibia provided the infant is not occupying a seat. All passengers flying on Air Namibia are allowed to bring one piece of hand luggage weighing no more than 7kg. Please notify the airline before departure if you’d like to take advantage of their special baggage offer and make sure to check in to your Air Namibia flight at least 2 hours before departure. Use the Air Namibia online check-in portal to ease your airport experience. Online check-in is easier and faster, and all you have to do is bring a printout of your boarding pass and your ID Document. You can also update your meal options, preferred seat and plenty more from the comfort of your home or office. You are able to check in at least 24 hours before your departure time. Online check-in will close between 90 mins and 2 hours before your departure for domestic, regional and international flights. Always check your booking confirmation for updated times. Airport check-in is also available as usual. Bring your ID document and booking confirmation to the Air Namibia desk for baggage drop and check in. Check-in times at the airport desk range from between 30 minutes to 2 hours prior to departure, depending on your destination. Boarding gates usually close 15-20 minutes before departure. Please check your boarding pass and flight confirmation carefully to avoid missing your flight. Expect to be warmly welcomed by the friendly staff on board. A selection of delicious meals and thirst-quenching beverages will be served throughout the flight. When you are done with your meals and are ready for some entertainment, you can turn on your 10” screen and tune in to some exciting programmes ranging from documentaries to some of the latest movies available. When looking to kick back or take a nap, Air Namibia has substantial legroom between seats. Johannesburg and Cape Town, South Africa: 14 flights per week. Luanda, Angola: 6 flights per week. Maun, Botswana: 4 flights per week. Victoria Falls or Harare, Zimbabwe: 4 flights per week. Lusaka, Zambia: 4 flights per week. New Route: Windhoek-Lagos-Accra: 4 flights per week operating on Sunday, Monday, Wednesday and Friday. Air Namibia operates flights to Luderitz, Oranjemund, Rundu and Katima Mulilo in Namibia, 4 times a week. They also have a scheduled 13 flights per week to Ondangwa and 7 times a week to Walvis Bay.